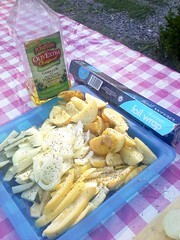 I love good food on camping trips, can’t you tell? 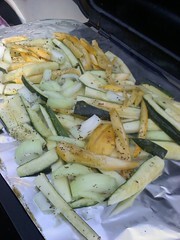 I’ve featured grilled flatbread pizza and dark chocolate smores and now Italian vegetables with your summer bounty. 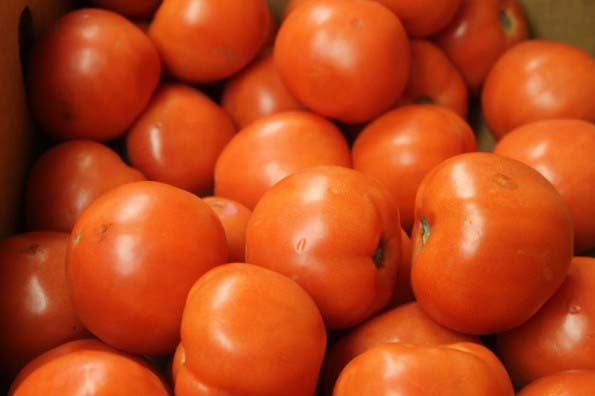 Grab your produce and head outdoors for this tasty recipe. Cut your veges into 1/2″ match sticks. Here’s the secret to adding potatoes to this side dish. You microwave them for about 9 minutes. I cooked eight new potatoes. You want the potatoes to be done, but not mushy or over cooked. Even a little on the under cooked side is fine. This speeds the grilling tremendously and allow all the vegetables to be done at the same time. 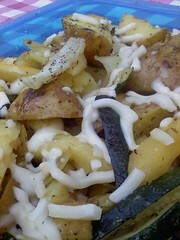 You can use leftover oven baked potatoes, as well. That is why batch cooking potatoes comes in handy for multiple side dishes. I’m a huge fan of cooking potatoes ahead. 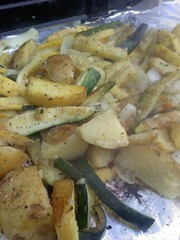 I season my zucchini, onion, squash and quartered potatoes with salt, pepper, minced garlic (or use 1/2 tsp. 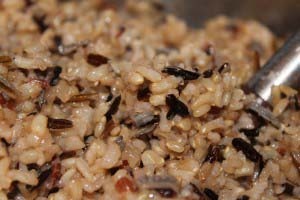 garlic powder and 1 tsp. of Italian seasoning. This is going on a piece of foil that matches the size of our portable Coleman grill. It’s attached to our camper which makes it handy. Grill on high occasionally turning when the veges get browned. I like the potatoes to start looking golden brown before I remove. I carefully use pot holders if necessary and pour the veges from the foil into a serving tray and top it with mozzarella cheese. 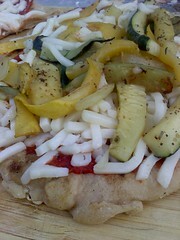 I placed some of these flavorful veges on my grilled flatbread pizza. Delish. What would you serve this awesome side dish with? 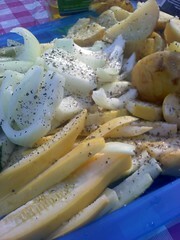 This entry was posted in Vegetables + Fruits and tagged outdoor and camping grilled vegetables on 24.06.2011 by admin.